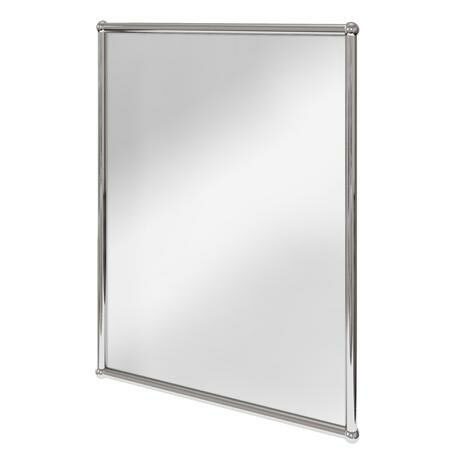 The beautiful Elegant Burlington Rectangular Mirror with Chrome frame is ideal to be used in a traditional bathroom. We have a full range of Burlington products in similar finishes available. All Burlington Mirrors are sealed to ensure the mirrors do not suffer "Black Edge" . Oxidisation can occur in moist environment but this treatment prevents it. Q. Can this mirror be hung both ways? Hi Julia, this mirror comes with a bracket already attached on the back of the mirror which allows it to be hung portrait only. Thank you.